I consider myself a fairly reflective person. Thinking about my actions and reactions on a continual basis helps me to move forward with fresh insight. But I was challenged with my reflective practice as I read the Donalyn Miller book: Reading in the Wild, and participate in my first ever #cyberpd. This week we were asked to read and comment on chapter 1 and 2. I tagged the quote by John Dewey: "We do not learn from experience...we learn from reflecting on experience". Donalyn's words in the section challenged me to not only reflect on my reading life, which I regularly do, but more importantly to share my reflections with others, particularly our students. This was a new insight that has lots of possibilities for the children and teachers I work with on a regular basis. Thinking about discussing how I choose books, why I abandon books and even do I abandon books with others will be refreshing and an eye opening experience. I believe this new way of sharing my reflective practice will open many doors as I strive to model being a wild reader! I'm so glad you joined in the conversations. 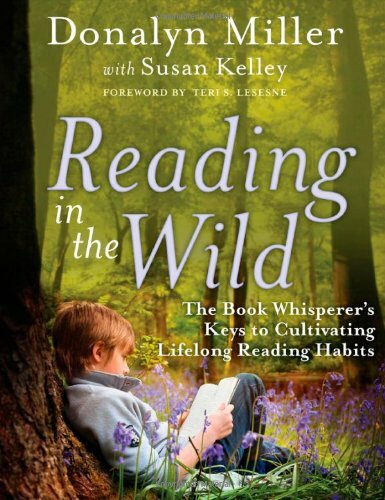 I think this idea of being a reflective reader is essential to being a wild reader. A challenge for students, but so important! We will have to share our reading lives, have those important conversations, and model how to think about our reading. Agreed ... "we learn from reflecting on experience." Thanks for sharing your reflections today! Welcome to the conversation. I'm adding your post to the jog today (sorry I'm running late) and look forward to continuing the conversation.